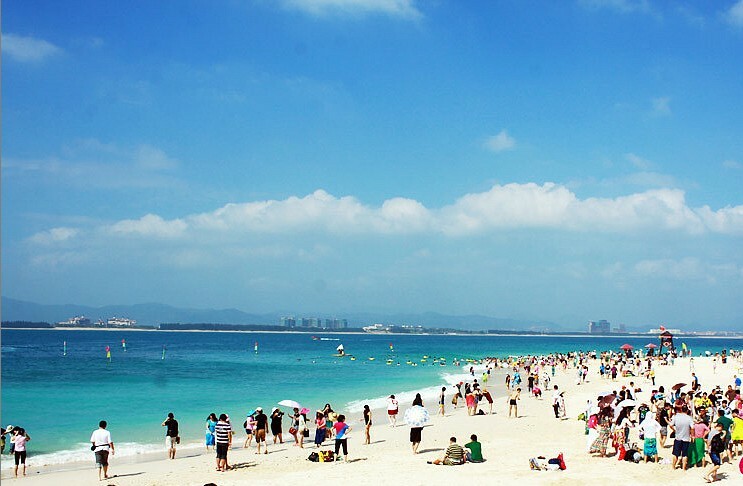 Lying in Haitang Bay and north of Sanya City, Wuzhizhou Island is the "No. 1 bay under the sun", given its name as “the Maldives in China”. It has more than 2,000 types of plants, including the precious dracaena. 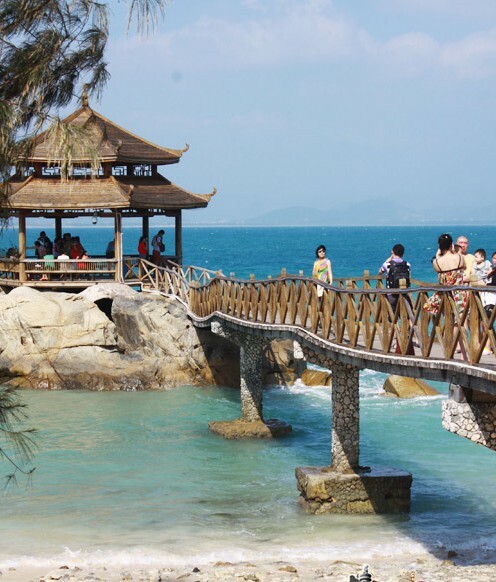 On the island, there are many places of interest to visit including the Lover’s Bridge, Sunrise Rock, the Gold Turtle Stretching toward the Sea, Lover’s Island and the Life Well. The Sunrise Rock is the ideal spot from which to observe the sunrise. In addition to the natural sites, Wuzhizhou Island is facilitated by supporting facilities such as holiday villas, cabins and bars, tennis court, seafood restaurants and villas, cabins, bars, tennis courts and seafood restaurants, and the well-developed beach programs including snorkeling, scuba diving, banana boat, offshore-fishing, surfing, water-sliding, sailing, motorboat, canoeing and beach volleyball. The island is the best place for scuba diving in China with its well-preserved coral reefs and crystal clear waters with visibility up to 27 meters, allowing the tourists to experience the unique and beautiful underwater scenery which is a treasure house of various kinds of tropical fish and seafood, such as sea cucumber, lobster, mackerel and sea urchin.